I always get ridiculously excited when gorgeous PR boxes pop up in my mail box and this was no exception. 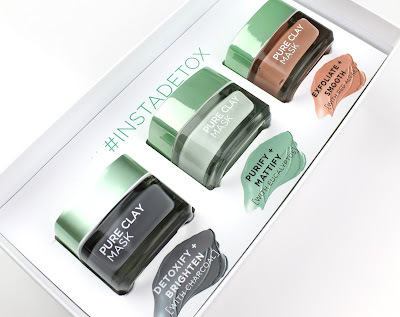 I really wanted to try these new L'Oreal Paris Pure Clay Masks so I was super happy to receive them for review. 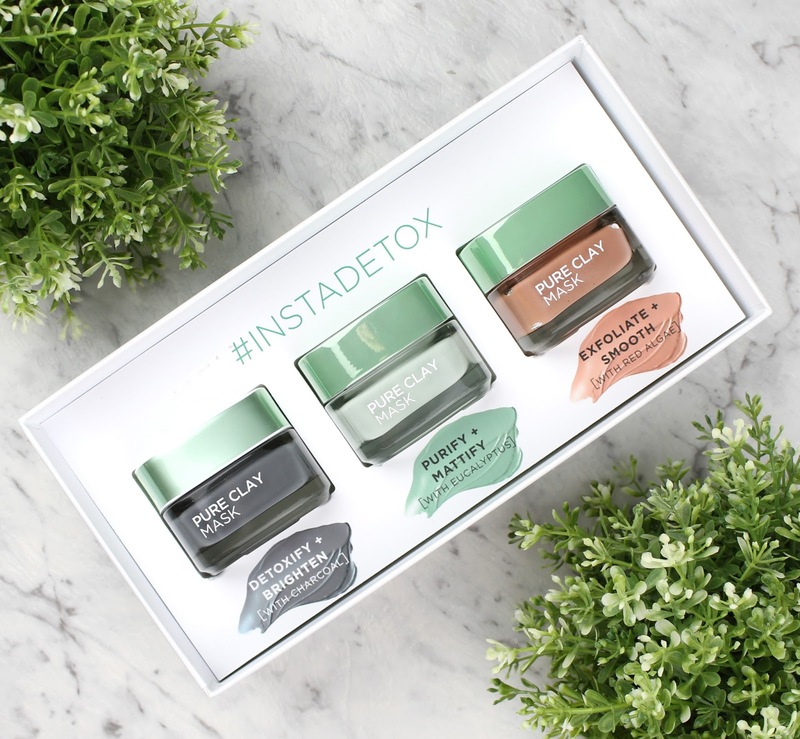 As you probably know from my other posts, I have extremely dry and dehydrated skin so I knew I wouldn't be able to use all of these, but I had my eye on the Red Algae one! Plus, my much oilier skinned boyfriend was on hand to help me test these out. Detoxify + Brighten with Charcoal: for normal skin, this mask draws out impurities from deep down in the pores to leave skin detoxified and brightened. 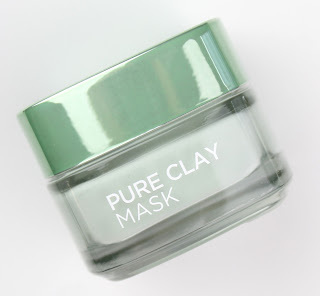 Purifying + Mattifying Eucalyptus Mask: for oily skin, this mask purifies pores and mattifies the skin to leave it refreshed and revitalised. Exfoliating and Smoothing Red Algae Mask: for dry or dull skin, this mask is enriched with red algae for cleansing and milled apricot seeds to gently exfoliate dull, uneven skin. I also really loved this amazing little card with test strips to help identify what mask best matches each part of your skin. They were super simple to use and really make things easy. 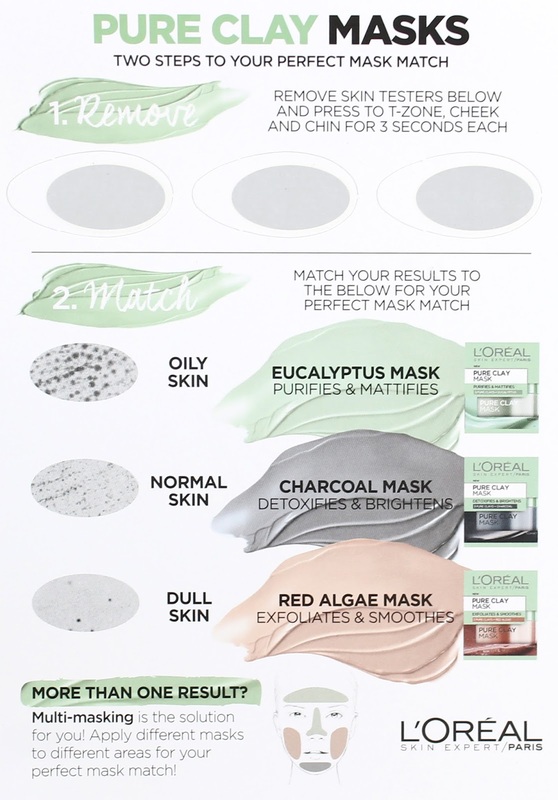 L'Oreal is really getting the word out about multi-masking, which has been around for a while, and there is a good reason: these masks are perfect for it! Apparently these don't come in the box when you buy the masks but hopefully you can get hold of them as a promo flyer for the new release. My test results for my T-zone, Chin and Cheeks (left to right). At least I am consistent, right? Unsurprisingly, I was dry/dull all over so I used the red algae mask all over. I also multi-masked with the charcoal mask on my T-zone and chin, and the red algae mask on my cheeks. My boyfriend has a super oily T-zone and chin and normal cheeks so between us both we were able to give all these masks a good test run. The Detoxifying + Brightening Charcoal Mask was really purifying and mattifying but wasn't drying, even on my dehydrated skin. This would be such a great one to pop on your T-zone or any problem areas. 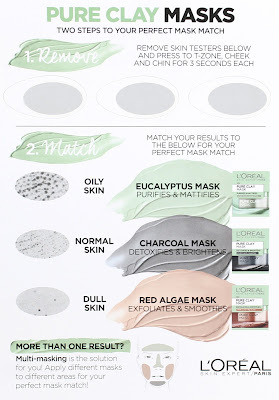 As L'Oreal points out with their multi-masking campaign, you only need to put masks where you need them and this would be a great rescue remedy for when your skin is feeling a little congested. This Purifying + Mattifying Eucalyptus Mask wasn't right for my skin but it really helped to draw out excess oil from my boyfriend's T-zone where he has a lot of issues with oiliness. It left his skin really smooth and matte. Again, I think this would be amazing to use on oily areas before an event or any time you want to control oil and make your makeup last longer. 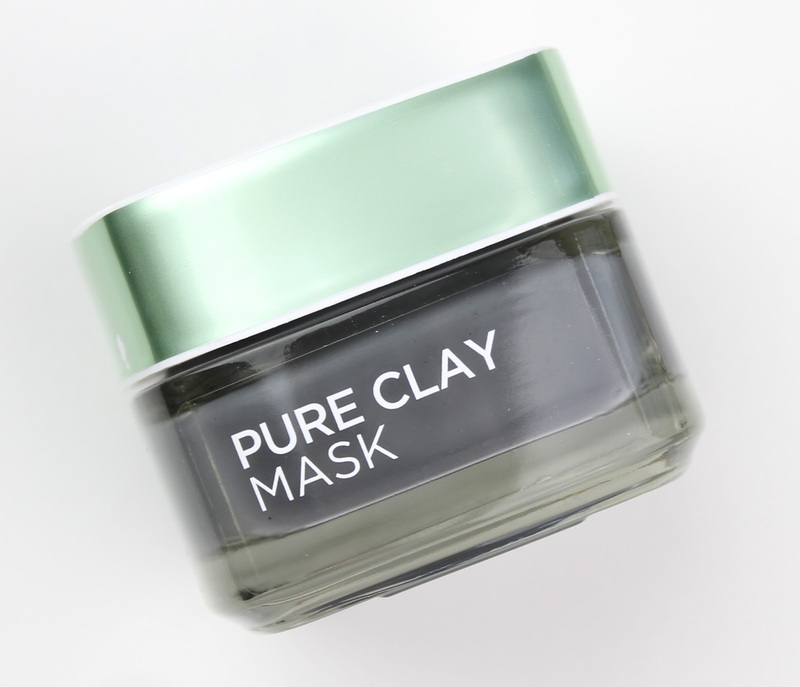 It would also be good to use as a regular mask every week to help control oily skin. Now for my personal favourite, the Exfoliating + Smoothing Red Algae. This one left my skin sooooo smooth which really helped with makeup application. It also helped to buff away dead skin to leave my face glowy and refreshed. 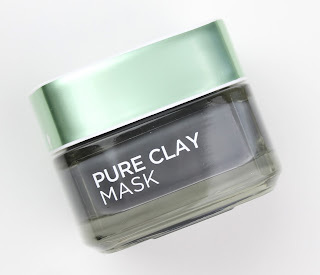 While this did definitely mattify my skin as a clay mask, it didn't leave me tight or dry in any places, even with my exceptionally dry skin. If you are like me and have normal-dry with out acne or spots, this is definitely the mask for you. I really love these masks and I can certainly see the benefits of the multi-masking. I am usually dry and dull but sometimes I can get congested skin on my chin and T-zone so the charcoal and red algae are a perfect pair for me. 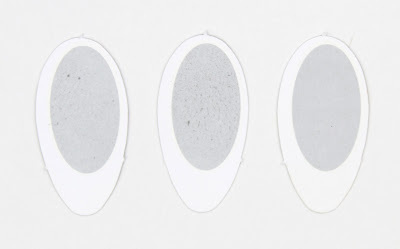 You may even be a mixed bag of all three skin types. I also love that L'Oreal is pointing out that your skin isn't uniform all over. A lot of people who have oily skin can often have very dry cheeks because of harsher acne cleansers. It is great to pay attention to all the skin on your face and give it what it needs, especially if you are indulging in a pamper session at home. 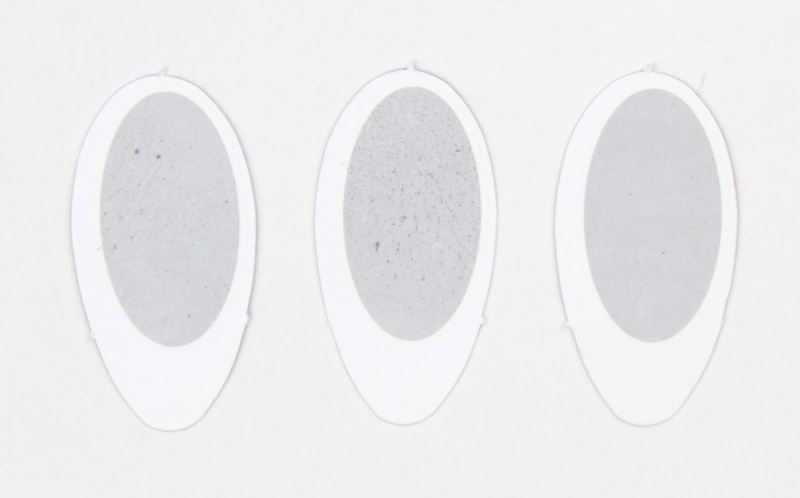 Also, you definitely don't need all three but assess your skin and really determine exactly where you are oily, dull or congested and mask accordingly. So there you have my full review of the new L'Oreal Pure Clay Masks. 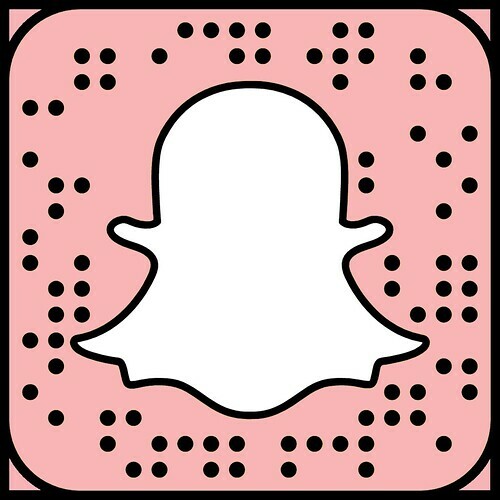 I think they are great value, super luxe and give the results they promise so I would wholeheartedly recommend them. Will you be picking some up? Disclaimer: These products where sent to me as obligation PR samples. 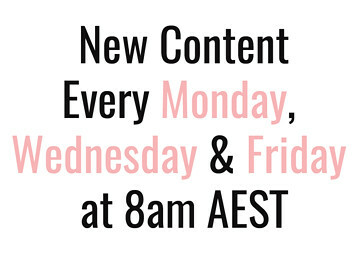 This is not a sponsored post and, as always, my opinions are my own. 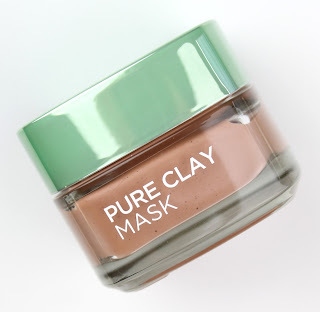 2 comments on "L' Oreal Pure Clay Masks"